Sonja Wilhelm Stanis, interim associate director and associate professor in the School of Natural Resources, received the Outstanding Graduate Mentor Award at CAFNR’s 2019 Celebration of Excellence awards ceremony, held Thursday, April 11. Wilhelm Stanis’ research is in the human dimensions of natural resource management with an emphasis in the social psychological as well as environmental factors that influence aspects of outdoor recreation. Specifically, her work examines the role of parks and public lands in promoting physical activity and public health, benefits of and constraints to outdoor recreation, and issues in outdoor recreation relating to diversity and youth. She currently works with numerous graduate students and her previous advisees have went on to great success. Jill Moreland, program director and advisor chair for the Division of Applied Social Sciences, received the Outstanding Undergraduate Advisor Award at CAFNR’s 2019 Celebration of Excellence awards ceremony, held Thursday, April 11. Moreland advises 70 undergraduate students in the Agribusiness Management (58) and Agriculture (12) degree programs. Since she began advising undergraduate students in 2015, Moreland has been consistently awarded higher marks than the department and college averages for advising. Moreland advises all Agribusiness Management freshmen who she meets during Summer Welcome. Mary Hendrickson, assistant professor of rural sociology, received the Outstanding Senior Teaching Award at CAFNR’s 2019 Celebration of Excellence awards ceremony, held Thursday, April 11. After earning her master’s degree (1994) and PhD (1997) in rural sociology from MU, Hendrickson provided sustainable food and farming programming through University of Missouri Extension and eventually reached the rank of Extension associate professor. She became an assistant professor in rural sociology in 2012, where she teaches food systems, among many other topics. Lesleighan Cravens, instructor of plant sciences, received the Outstanding Early Career Teaching Award at CAFNR’s 2019 Celebration of Excellence awards ceremony, held Thursday, April 11. Cravens joined CAFNR as a floral design instructor after earning her bachelor’s degree from MU in agricultural education, with an emphasis in plant science and agricultural economics. She teaches five floral design courses at Mizzou. Cravens has served as an advisor for MU’s student chapter of the American Institute of Floral Designers since 2014. Ken Schneeberger, director of CAFNR International Programs, received the Dana Brown Haynes Distinguished Service Award at CAFNR’s 2019 Celebration of Excellence awards ceremony, held Thursday, April 11. Schneeberger joined Mizzou in 1968 after earning his PhD from Oklahoma State University. He is a professor emeritus of agricultural economics, and also served as director of CAFNR’s Farms and Centers for 10 years. He has been a mentor to many students and received the college’s Frederick B. Mumford Outstanding Faculty Award in 2003. He has been a co-principal investigator on grants totaling more than $9 million. 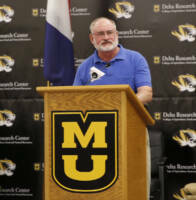 Joe Dillard, who received his master’s degree in 1965 in fish and wildlife conservation from Mizzou, received the True Tiger Volunteer Award at CAFNR’s 2019 Celebration of Excellence awards ceremony, held Thursday, April 11. After earning his master of arts in fish and wildlife conservation from MU, Dillard, Columbia, Missouri, began his professional career with the Missouri Department of Conservation (MDC) as a fisheries research biologist. He held numerous positions during his time with MDC, retiring in 1998 and then working part-time from 2000-12. He has served as a volunteer for the School of Natural Resources (SNR) since leaving MDC in 2012. Brian Munzlinger, who received his bachelor of science in agriculture from Mizzou in 1978, received the Citation of Merit Award from the CAFNR Alumni Association at CAFNR’s 2019 Celebration of Excellence awards ceremony Thursday, April 11. Munzlinger is an advocate for agriculture and the Missouri legislative process, and has a deep appreciation for the value of higher education and specifically the land-grant mission of the University of Missouri. He is a former state senator (2011-18) and state representative (2003-10), and served as Chair of the Senate Agriculture, Food Production and Outdoor Resources Committee and Chair of the House Agriculture Business Committee. 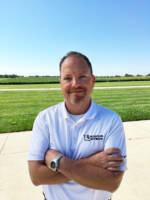 Munzlinger is also the owner and operator of Munzlinger Farms, a multi-generational farm growing corn, soybeans and implementing forestry practices. Stephen O’Loughlin, President and COO of Lodging Hospitality Management, received the Honorary Membership Award from the CAFNR Alumni Association at CAFNR’s 2019 Celebration of Excellence awards ceremony Thursday, April 11. O’Loughlin has been a consistent supporter of the Hospitality Management program at University of Missouri. His focus on hiring graduates from the Hospitality Management program has led to offering career opportunities to countless graduates over the years. After graduation from University of Missouri St. Louis, O’Loughlin accepted a position as sales manager at the Novi Hilton in Detroit, Michigan. Following his success at the Hilton property, he moved to the Marriott Pavilion Hotel in St. Louis. 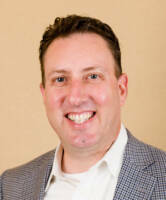 O’Loughlin was named President and COO of Lodging Hospitality Management (LHM) in 2008 after 11 years with the company. He joined LHM in 1997. Gary Marshall, CEO of the Missouri Corn Growers Association and Missouri Corn Merchandising Council, was named Alumnus of the Year at CAFNR’s 2019 Celebration of Excellence awards ceremony, held Thursday, April 11. Marshall is a member of the CAFNR Foundation board, and received the CAFNR Citation of Merit Award in 1999. He received his bachelor of science in agricultural economics in 1974 from the University of Missouri.